At UAB, New Orleans native Stephen Brossette found just what he was looking for — an opportunity to participate in the Medical Scientist Training Program, a combined M.D./Ph.D. program that prepares students for careers as physician researchers. For his doctorate, he opted to enroll in the Department of Computer and Information Sciences (CIS). He completed his CIS studies in 1998 and finished medical school at UAB in 1999. While working on one research project, Brossette decided to gather data on hospital infection rates and soon realized that mining databases to analyze hospital records was a more accurate way to track the spread of infections and antibiotic resistance in hospitals and communities. It wasn’t long before Brossette’s data-mining research caught the attention of a company that wanted to commercialize it. But he saw the offer as confirmation that he could go into business for himself. Stephen BrosetteSo in 2000, he co-founded MedMined Inc. with Patrick Hymel and G. T. LaBoede. The company used patented data-mining techniques to efficiently identify and report infection outbreaks to the public and provide opportunities for hospitals to change their processes to prevent future infections. In 2006, when Cardinal Health bought MedMined, Brossette stayed on as vice president for three years. But during that period, he and his original business partners began brainstorming ideas for a new business. They discussed misidentification of medications, the difficulties some patients have in keeping track of all of them and how technology could help. They came up with an app that could capture the images of several pills at one time and match them against images in a database of more than 4,000 medications. The app, Brossette says, would give doctors, nurses, and pharmacists a way to identify a patient’s different medications within seconds. Moving forward with their idea, the team founded MedSnap LLC in 2009. MedSnap is now marketing the technology, MedScan ID, to hospitals and insurers. Earlier this year, Brossette and his team introduced the MedScan ID to a group of UAB physician assistant students in the School of Health Professions so they could try it out. Brossette, who is the chief science officer for MedSnap, says he and his business partners are now in the process of designing an app that will let patients and caregivers snap a picture of medications that need identification from home. A native of Syracuse, DeLucas continued his education at UAB with a second bachelor’s degree in physiological optics in 1979, followed by an optometry degree in 1981 and a doctorate in biochemistry in 1982. He later taught optometry courses at UAB and conducted studies on x-ray protein crystallography, a technology used to examine the structure of proteins, which is important for developing new drugs. By 1985, DeLucas was director of the purification and crystallization laboratory and associate director of the UAB Center for Macromolecular Crystallography. Then in 1992, DeLucas became the first optometrist to go into space when he orbited the earth for 13 days aboard the space shuttle Columbia as a NASA payload specialist. The idea to start a business came, DeLucas says, while he was trying to build technologies to NASA’s specifications so he could send experiments on future space shuttles. He hired a staff of engineers to help him build protein crystallization hardware that would meet NASA’s flight hardware standards. “Having engineers around me who could design and fabricate prototype hardware using the UAB research machine shop helped me develop new biotechnologies. [That] led me to consider forming a company to commercialize the technologies,” says DeLucas, who also directs the UAB Center for Biophysical Sciences and Engineering (CBSE). DeLucas, who became CBSE director in 1994, launched Diversified Scientific Inc., in 1997. The company licensed some of his technologies for protein crystallization through UAB’s Research Foundation (UABRF). Diversified spawned other spin-off companies such as the 2007 biotech venture Vivo Biosciences Inc., that uses a proprietary human-based media to culture cells, grow three-dimensional tissue and perform biological assays. DeLucas’ newest company, Soluble Therapeutics Inc, was established in 2009. It licensed from the UABRF a protein solubility technology developed by DeLucas, members of the CBSE, and Dr. William Wilson, a colleague from Mississippi State University. The technology has applications in fundamental protein research and protein therapeutics such as vaccine development. So far, DeLucas has registered more than 30 patents. While in school, Graves worked part-time in the UAB Department of Obstetrics and Gynecology reproductive endocrinology laboratory, which he says helped influence his decision to earn a doctorate degree in biochemistry. David GravesAfter earning his Ph.D., Graves completed a postdoctoral fellowship at the University of Rochester. He accepted a job as a tenure-track assistant professor at the University of Mississippi in 1984, where he taught chemistry for 20 years, eventually reaching the role of Distinguished Faculty Fellow in 2002. His plan was to retire at the University of Mississippi, Graves says, but he started getting inquiries from individuals at UAB about returning to his alma mater to become chair of the chemistry department — stepping in for Larry Krannich, Ph.D., who was retiring. After accepting the chairmanship in 2003, one of his major areas of focus was exploring ways to enhance chemistry faculty collaborations with researchers across campus on projects involving drug discovery, biophysical chemistry, and structural biology, and to conduct basic science investigations that could dovetail into translational research — taking basic science research to the clinical setting — that was taking place at UAB. Graves became a senior scientist with the UAB Comprehensive Cancer Center and eventually teamed with two center researchers, Katri Selander, M.D., Ph.D., and Kevin Harris, M.D., to develop a blood test that could tell doctors within hours whether a particular chemotherapy treatment was working. The test had the potential to save cancer patients from undergoing repeated rounds of chemotherapy before a clinical determination could be made on whether the patient’s tumor was shrinking. The group consulted with the UAB Research Foundation in applying for a patent on the extracellular telomere assay. 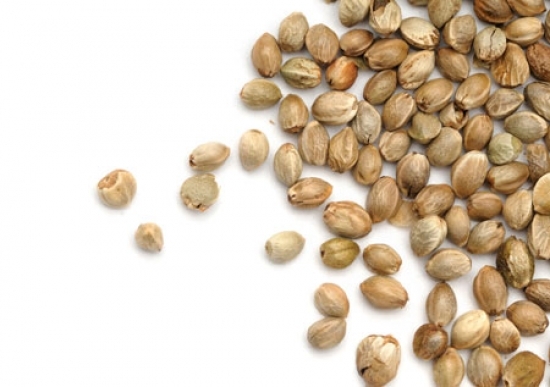 In 2011, they launched Blondin Biosciences to further develop the assay. Operating in the business world required a new set of skills, and Graves and his partners took advantage of classes offered through the Birmingham Business Alliance and Innovation Depot, UAB’s business incubator. There they learned the fundamentals of developing a business plan, ways to pitch their product to potential investors, and how to convey the science behind the blood test in layman’s terms. A year later, Blondin Biosciences was a finalist in the Economic Development Partnership of Alabama’s Alabama Launchpad competition, providing a real-world, working example of UAB’s brand: ”Knowledge that will change your world.” The group is now working to refine proof-of-concept and refine the diagnostic test while at the same time securing funding for their business. When Orlando, Florida, native Theresa Harper Bruno chose to study history at UAB, she was at a career crossroads. She previously had studied at the Juilliard School of Music with dreams of becoming a concert pianist, but she was forced to consider other options when the arduous, 10-hour-a-day practices injured her hand. Theresa BrunoBruno set out to find an occupation where she could still be both creative and practical. She returned to Birmingham, where she had strong family ties, chose advertising and marketing, and later became the advertising director for Regions Bank. She then spent 10 years as a creative director and partner at the Birmingham-based marketing and public relations firm Perry, Harper & Perry, which opened in 1989. Meanwhile she had enrolled at UAB to pursue a master’s degree in history, she says. Bruno received her master of arts degree from UAB in 1990. She continued working in advertising. Then in 2005, Bruno opened her own firm, Theresa Harper Bruno Inc., a holding company offering services such as strategic planning and consulting and film production. Bruno says that she had always dabbled in design over the years, and soon she began creating her own line of jewelry using pearls and other precious stones. In 2010, she launched Jordan Alexander Jewelry, and the success of the line was almost immediate. Not long after the launch, her pieces were featured in The New York Times. Then she got a call from the White House saying that First Lady Michelle Obama planned to wear some of her jewelry to a state dinner. Today her jewelry is sold in 40 luxury stores around the country, and now she is introducing a line of furniture, she says. These days, when she is not traveling to promote her furniture and jewelry, she is active in supporting and promoting UAB’s Alys Robinson Stephens Performing Arts Center. She is chair of the ASC Corporate Board, and says getting to meet some of the artists who have come to perform at the ASC has been a joy. “It’s like I got the best gift in the world,” she says. Bruno has now taken on a new role as co-chair of UAB’s recently announced comprehensive, philanthropic campaign to raise $1 billion by the end of 2018, which will be the largest fundraising campaign in UAB’s history. When David Brasfield was a freshman at UAB, he thought medicine was his destiny. But he soon concluded that pre-med was not for him and turned his attention to the emerging field of computer science. David Brasfield“Computer science wasn’t a big thing back in the 1980s, when desktop computers were in their infancy,” he says. “So the degree was fairly new, but I hopped in and liked the curriculum so much that I decided to change my major to computer science. I didn’t possess a crystal ball back then and didn’t foresee the explosion of computing technology that would produce PCs, iPads, cell phones, and mobile devices. But I did see that a computer could take lots of data and give us results very quickly. “UAB was a great school because it had some of the newer technologies, and at that time, the program was just starting. It wasn’t like computer science had been out there for years like it is today,” he says. Brasfield gained work experience at the Federal Reserve Bank in Atlanta, and after graduating from UAB with a bachelor’s degree in computer science in 1984, he took a computer-programming job with NCR Corp. Then, in 1989, Brasfield decided to start his own software business, SBS Corp., to service financial institutions. About a year later, Brasfield moved the company into UAB’s former business incubator, the Office for the Advancement of Developing Industries (OADI), and took advantage of the classes and resources that were offered to new entrepreneurs. “It was a great opportunity for a small businessperson to have full access to a variety of well-known experts in these different fields,” Brasfield says. He launched his second company, Brasfield Technology, in 2001, after selling SBS Corp. Just four years later, in 2005, he sold Brasfield Technologies to the Metavante Corp. He opened his third firm, TriNovus, in 2009. Through TriNovus, Brasfield offered financial institutions the resources needed to help them comply with new federal rules. Last year, he soldTriNovus to a Swiss company. In the spring of 2011, Anna Lloyd, then a senior at UAB, was starting her job search. It was that common realization that began the building of UAB Digital Media that O’Beirne now directs, which includes the Media Commons production space, managed by Chris Humphries, and the Media Fellows program, led by Lloyd. Media Fellows work 20 hours a week at $12 an hour. This wage was set to show students that they have just as much to offer as professionals do. And every dollar made by student projects with external clients goes right back into the program. “We wanted to have some sort of extra cherry on top,” says Lloyd so in addition to the regular pay, Media Fellows also receive a technology stipend of $1000. Students can use this money to purchase new equipment such as lenses and laptops or even apply the money towards attending a conference. So at this point you’re probably wondering who might these up-and-coming student storytellers be? Well there are seven of them, and each one is as unique as the digital skill they bring into the lab. From left: Matt Drummond, Daniel Twieg, Karla Khodanian, Ryan Meyer, Betsy Cates, Kevin Peek, and Brent Caswell.Every team needs a great comedian to keep its morale up, and that’s where Daniel Twieg comes into play. He is a skilled animator, talented videographer, Addy-award-winning designer and friend to all. This year he has contributed to multiple video projects and is currently lead on a video project with local non-profit Bama Covered. Twieg is a senior finishing up an individually designed major in the digital arts. Professional composer by day and electric rock star by night, music major Kevin Peek serves as the team’s resident audio engineer. Rather than paying money for stock music, UAB Digital Media utilizes Peek to create the powerful beats you hear in the background of every video project they produce. Peek’s talents were utilized beyond the lab earlier this school year when he was contracted to compose the pieces for the university’s syndicated commercials. No digital collaboration is complete without the opinion of the in-house artist. Ryan Meyer, a senior in the BFA program, has the detailed eye and the skillful hand needed of a graphic designer. Meyer has been with UAB Digital Media since the lab opened, so his resume has grown with the program. He hopes to take creativity into the advertising world with him once graduating. As the technology grows, the need for web designers grows with it. Betsy Cates, a senior Art Studio major, started as a Media Fellow with a knack for graphic design, but soon found a love for development. Betsy spearheaded the redesign of UAB’s Department of Art and Art History’s website as well as creating the site for the new AEIVA building. She also won a Silver Addy award for the Department of Art and Art History’s new logo design. 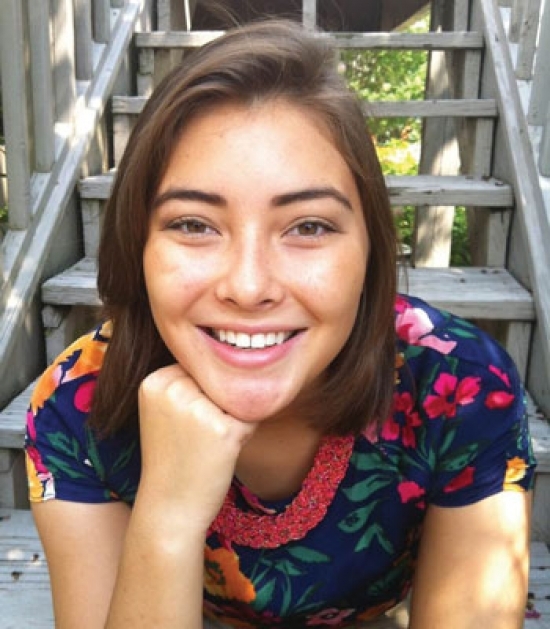 Following graduation, Betsy will begin a full-time post-bac position with the Digital Media team. The youngest student of the bunch, junior Business Management major Matt Drummond’s steady-hand has made him a powerful asset to the videography team. Ask any question about lenses, cameras or any other fancy videography equipment and he’s got your answer. Serving as the lead videographer for the TEDxBirmingham video project, Drummond’s skilled editing expertise and patience proved his place as one of the strongest storytellers. A seasoned tech blogger with articles featured on Gizmodo, senior Political Science major Brent Caswell serves as the team’s guru for all things web-related. His passion lies in creating functional user interfaces and has devoted this passion in creating UAB Digital Media’s ‘Knowledge Jam,’ a website filled with articles, videos, and digital advice created by students working in the Media Commons. And I suppose it’s at this point where I should introduce myself, your trusted author, as a Media Fellow as well. I’m the team’s social media addict whose face is usually buried in my iPhone composing what I believe to be the next great tweet. As a senior Public Relations major, I knew my love would lie in the communications side of all of our initiatives, but perhaps my greatest discovery as a Media Fellow is my love for producing. Through the TEDxBirmingham promo video project, I realized the passion I have for telling stories through as many digital tools as possible. Though it’s great to have a dollar value attached to my work, it’s even greater to have advocates like O’Beirne and Lloyd by my side championing my value as a creative professional. The experiences I have gained and the connections I have made in my time as a Media Fellow will be unrivaled. The most important lesson I’ve learned is that collaboration is key to a successful project. Without a good team motivating each other along the way, success would be far-fetched. Considering we won a Gold Addy award from the American Advertising Federation for our collaboration on the TEDxBirmingham promo video, I’d say we’ve nailed process down just right. 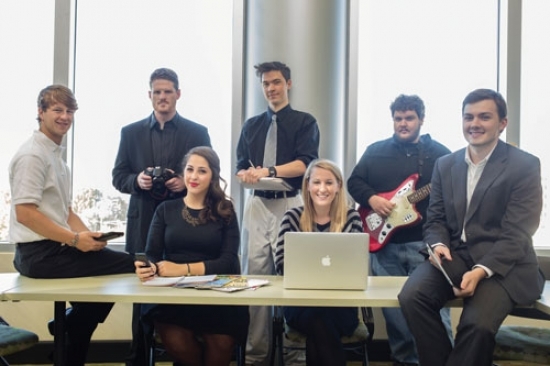 The UAB Digital Media staff has started recruiting for next year’s crop of Media Fellows. For more information on the program visit www.uab.edu/digitalmedia. UAB was one of only five research universities chosen by the National Math and Science Initiative (NMSI) as expansion sites for their UTeach secondary science, technology, engineering, and math teacher preparation programs. Beginning in the Fall 2014 Semester, the UABTeach program, as it will be known, will be made available to students at UAB with the goal of training more qualified math and science teachers to keep the nation globally competitive. UABTeach is sponsored by the College of Arts and Sciences, the School of Education, and the School of Engineering, and allows undergraduate students majoring in math, science, or computer science to receive both their subject-matter degree and full teaching certification in four years at no extra time or cost. The first program of its kind in Alabama, UABTeach is designed to address some very specific problems facing the state. Alabama faces a critical time in science and mathematics teacher preparation. The ranks of veteran teachers continue to shrink while many undergraduates majoring in STEM fields find the traditional pathways to becoming a teacher unattractive. But many sectors of Alabama’s growing economy will soon demand a whole new influx of STEM workers to be successful. The state has a significant need for more talented middle and high school math and science teachers, including those knowledgeable about computer science and engineering, to teach and guide those future workers. 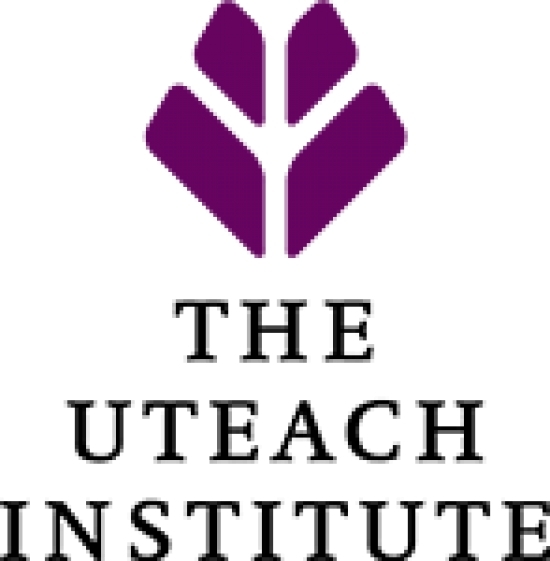 UABTeach is modeled on the very successful UTeach model first developed in 1997 at The University of Texas at Austin. It will be funded by a $1.45 million grant from the Howard Hughes Medical Institute (HHMI) that will support implementation costs of the program over the five-year grant period. New books by CAS faculty include Beyond Sound, The College and Career Guide in Music Technology by Scott Phillips, Ph.D., assistant professor of music, and Beginning Partial Differential Equations by Peter O’Neil, professor emeritus in the Mathematics department. Students of music technology have a new guide to college and careers in the industry, thanks to a new book by Scott Phillips, Ph.D., assistant professor of music at UAB. 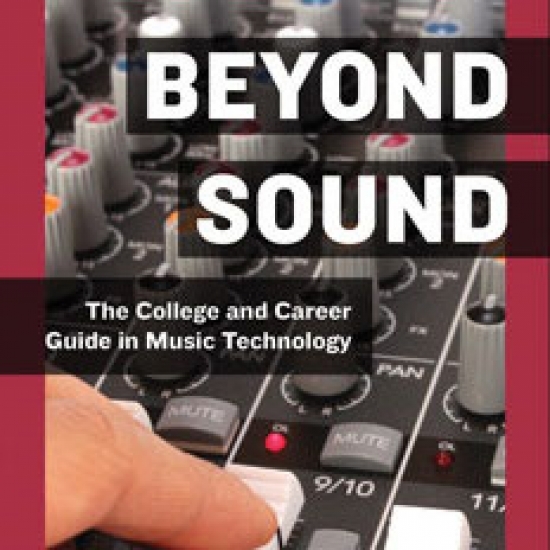 Beyond Sound, The College and Career Guide in Music Technology, was published last year by Oxford University Press. Phillips is co-director of the UAB Music Technology program and has spent his career researching and documenting the development of college music technology programs across the United States. “Beyond Sound” offers an in-depth consideration of music technology education. Phillips provides detailed comparison of more than 200 schools that offer music technology, recording, industry and business programs. He offers clear explanations of different types of degrees and provides practical guidance on career preparation, including how to get a great internship, land a first job, make connections and move up in a variety of businesses, from recording to television and film to video games. The book is available through Oxford University Press, Amazon.com, UAB’s Barnes and Noble Bookstore and booksellers nationwide. Go to www.beyondsoundbook.com to learn more. Phillips at slpmusic@uab.edu. This new textbook from Peter O’Neil, professor emeritus in the Mathematics department, focuses on methods of writing and determining properties of solutions of partial differential equations, concentrating on those that describe diffusion processes and wave phenomena. As O’Neil explains, a simple diffusion problem might involve determining changes in temperature along the length of an object. Wave motion is seen in vibrations of guitar strings, drums, support beams on bridges, and the like. At a more sophisticated level, partial differential equations are used in economics, the physical and life sciences, studies of global weather and ocean current patterns, and many other areas of interest and importance. O’Neil’s textbook guides students through the process of mapping these and other equations. O’Neil is at pvoneil@uab.edu. 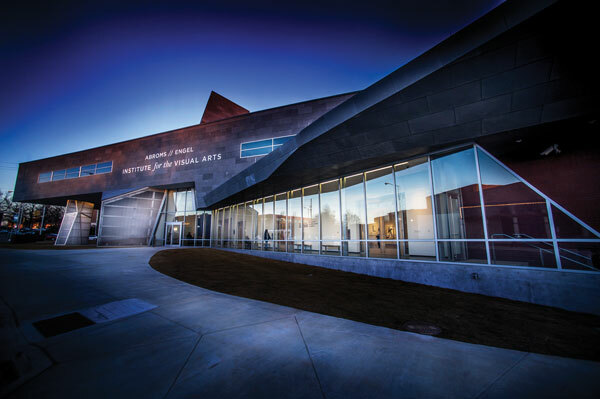 The UAB College of Arts and Sciences opened its new Abroms-Engel Institute for the Visual Arts to the public January 16. The Abroms-Engel Institute for the Visual Arts is located across from the Alys Stephens Center on 10th Avenue South. The art and art education facility houses three galleries, faculty offices, art and design studios, a sculpture garden, and state-of-the-art classrooms with Apple computers and projection capabilities—as well as a new home for UAB’s own art collection, which includes Rauschenberg, Rosenquist, Picasso, and Warhol as well as student works. A series of rotating exhibits from the permanent collection will change every few months. The third gallery features selections from the UAB Permanent Art Collection. Both shows will be on exhibition January 16 to March 6. The AEIVA, located at 1221 10th Ave. South, is open to the public 10 a.m. to 6 p.m. Monday through Friday and 12 to 6 p.m. Saturday. The institute is closed Sundays and holidays. Visit the AEIVA online at www.uab.edu/cas/aeiva or call (205) 975-6436. A complete schedule of events presented by the UAB Department of Art and Art History at the AEIVA in 2014 is available. You won’t find the “Fas pathway” on any hiking map, but thousands of researchers around the world are avidly studying the cellular receptor for clues that could have historic impact not only on disease but on science’s understanding of life and death. Bliss ChangYou won’t find the “Fas pathway” on any hiking map, but thousands of researchers around the world are avidly studying the cellular receptor for clues that could have historic impact not only on disease but on science’s understanding of life and death. One of those scientists is UAB senior Bliss Chang, with a double major in chemistry and biology and concentrations in biochemistry and molecular biology. In a nutshell, Fas is a chemical receptor on the surface of a cell that plays a role in a process known as “cell apoptosis,” a sort of pre-programmed death, as the body’s cells continuously die off to make room for new ones. If that Fas “switch” determines whether cells live or die, is it possible to turn it on and off in the lab? Could a new generation of oncology drugs kill off cancer cells internally by activating their apoptosis process? “Research is a voyage into uncharted waters,” Chang says. ‘I’ve truly enjoyed the intellectual challenge posed by the various steps of a project. One of the key elements of a qualified researcher is the ability to troubleshoot a problem — and those problems don’t always come with a straightforward troubleshooting guide. They require thinking critically regarding an experiment, and analyzing in minute detail what might be causing a deviation from the desired result. The desire to succeed and obtain tangible results is what always motivates me forward.” Chang plans to enroll in a joint M.D./Ph.D. program and eventually to teach medicine at a leading medical research university. 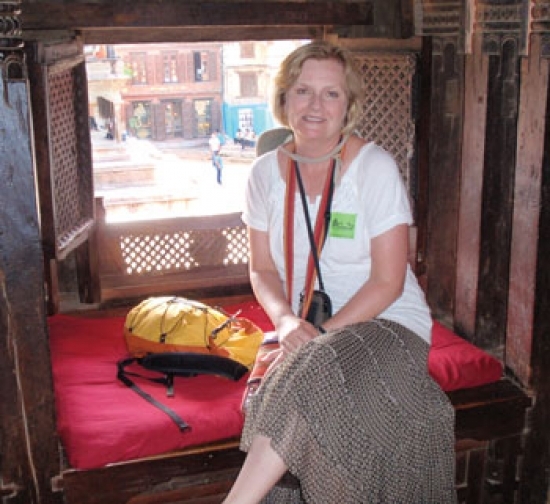 Roxanne LockhartRoxanne Lockhart knows first-hand how spinal cord injury can affect a family. So it’s no surprise that she’s gravitated toward molecular biology, a field that could hold the answer to therapies for brain and spinal cord traumas. Lockhart was a senior in the Math and Science Department of the Alabama School of Fine Arts when she was assigned a senior research project. 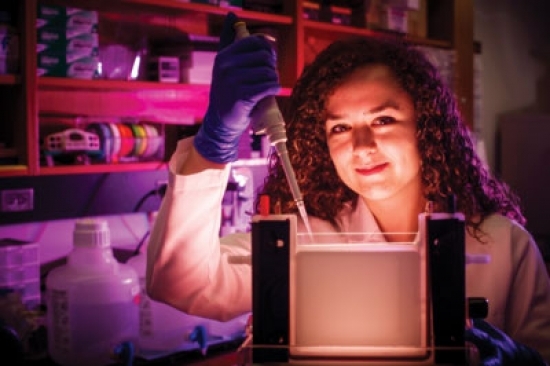 For her subject matter, she chose the work of UAB’s Candace Floyd, Ph.D.
Now a senior biology major at UAB, Lockhart is studying the effect of a drug known as thiamet-G, that may have the effect of reducing the process of inflammation, a major factor in cells damaged by traumatic brain injury (TBI). Her studies are concentrated in molecular biology, with mentoring by Farah Lubin, Ph.D., in the Department of Neurobiology. Yoohnee RyderFrom a satellite, the nation of Fiji looks like two medium-sized islands, due east of New Zealand in the South Pacific Ocean. But looks can be deceiving. There are actually 223 small islands (in geology-speak, an “archipelago”), and UAB Honors Program student Yoonhee Ryder recently spent six weeks getting to know one of them, named Vanua Levu, personally. The Huntsville, Alabama, native was part of a group of students conducting an archaeological excavation in the area. Her international interests also extend to the Middle East. She’s pursuing a double major in biology and anthropology, with minors in Middle Eastern studies and chemistry. She plans to spend time abroad doing humanitarian work, en route to her eventual goal of becoming a physician. As the stories in this issue reveal, students and faculty across CAS are engaged in the kinds of cutting-edge research and energizing collaborations that will make this a year to remember. By Cynthia Ryan, associate professor of English specializing in composition and rhetoric. Kairos. The ancient Greeks coined the term to describe the opportune time and place for action. The savviest folks in the courtroom or at the agora, a common meeting place back in the day for deliberating with fellow citizens, were those who knew not only how to craft a stellar argument, but also when and how to deliver it to achieve the desired result. While we’re a long way from ancient Greece in 2014 Birmingham, we in the College of Arts and Sciences know a thing or two about embracing ideas when the time is right, the iron is hot, the planets align . . . you get the idea. Cynthia RyanAs the stories in this issue reveal, students and faculty across CAS are engaged in the kinds of cutting-edge research and energizing collaborations that will make this a year to remember. Our new dean, Robert Palazzo, set the stage when he described the college as “a platform for the collision of ideas.” Over time, we’ve come to value what happens when you gather lots of folks, not of the same mind, to tackle issues that affect multiple disciplines and stakeholders. The result can be pure magic. Several of the alumni entrepreneurs profiled in the magazine illustrate the point. For instance, Stephen Brossette, M.D., Ph.D., launched the company MedMined after recognizing that data he was gathering for one purpose could be used to solve another problem of significant import: tracking infection rates in hospitals and among specific populations to assist in predicting and responding to disease. Surrounding himself with engineers, UAB professor of optometry Larry DeLucas, O.D., Ph.D., saw that the exciting ideas and products they were co-developing could be shared with a much wider audience — a decision that’s taken both him and his discoveries into outer space. The brand of storytelling that comes to life in UAB’s Digital Media Lab also reflects kairos at its best. As director of the center Rosie O’Beirne notes, a new media landscape requires that students from many orientations come together to do what they do best in collaboration to create the kinds of multimodal projects that define how we know what we know in the 21st century. Writers. Graphic designers. Musicians. Videographers. By working in tandem at this pivotal time in The College, these student-experts are dabbling in the innovative methods for creating texts that will carry them forth into meaningful, ever-evolving contexts that we can only imagine at this historical moment. All of these instances reveal people embracing opportunities to put thoughts into action when and where they will be of value. And let’s not forget the tasty sea urchins growing in the aquaculture lab of Stephen Watts, Ph.D. While Watts’ research makes for entertaining television, it more importantly addresses a vital need: a sudden drop in the population of the species due to overfishing and an accompanying loss of jobs. It’s an endeavor whose time has come. The ancient Greeks would be proud.